First things first…Click on the Feature Tab! Under the Feature Tab see the option called “Video Channels” click the Start Using button. You can also open directly within Features tab and choose syndication tab. 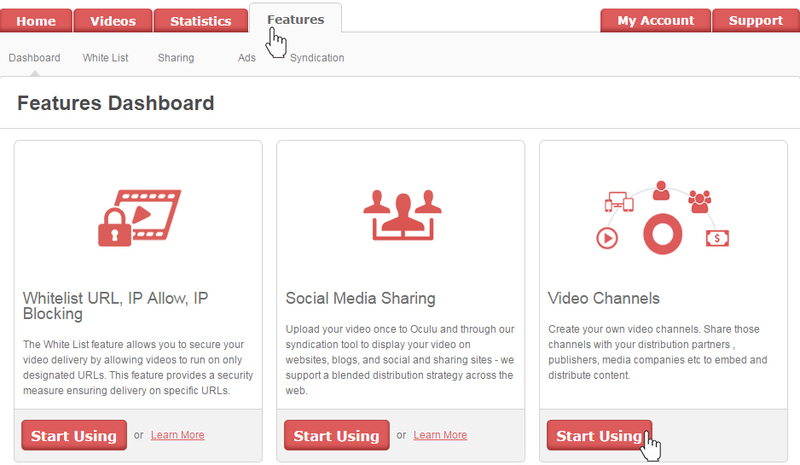 In this Feature create your own video channels, click on the add channel button, type your channel name and select videos for your channel and change your status and select your VPAID/VAST Ads tag (add your own ad tags or use Oculu’s tags to place ads on your videos.) and Save channel. Once your channel is created the tool provides 3 options for you View, Edit and Remove. 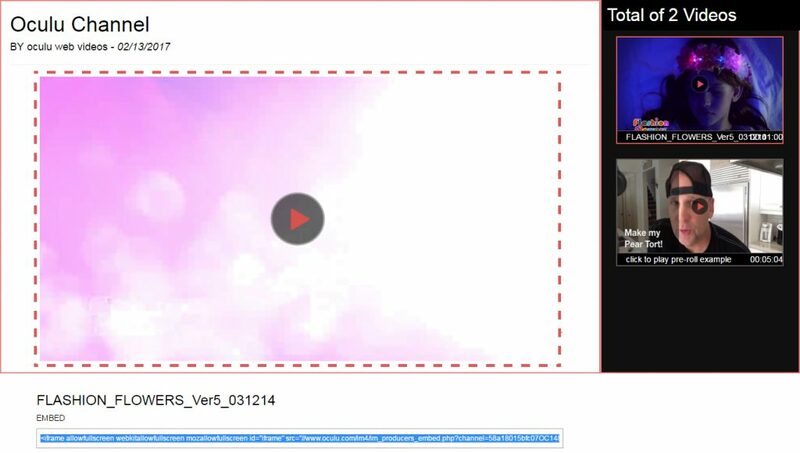 View – you can preview your video channel. Edit you can edit your channel, Remove you can remove/delete your channel.